The Kush Brothers seedbank was Born in Barcelona by J.M. Kush and A.M. Kush, owners and breeders of this great seedbank. The Kush Brothers is dedicated to sell feminized marijuana seeds, with strains mostly famous in United States. The Kush Brothers after was founded after many years of finding,, crossing and breeding american strains they most liked. Thanks to their exhaustive work, The Kush Brothers can offer today a wide catalogue of tastes, odours and flavours, distinguishing theirselves from many other seedbanks thanks to the high quality strains used in their breeding projects. 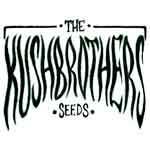 The Kush Brothers cannabis seeds could be bought in their original seedpacks of 1, 3, 5 or 10 feminized seeds. 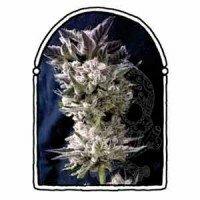 Confidencial Medicine seeds from The Kush Brothers is a powerful, and medicinal, cross between a Confidencial OG and a Haze Brothers, that shortens offspring's flowering time and increases its effect. Confidencial Medicine marijuana is perfect for therapeutical users, with a strong relaxing effect. This mostly indica hybrid will be ready to harvest in 8-9 weeks. Confidencial OG seeds are one of the best values from The Kush Brothers. Confidencial OG marijuana hhas been used by this seedbank for many breeding projects to get new genetics. If you are looking for a quick flowering, type indica, couch-locking strain, Confidencial OG should be your best choice. 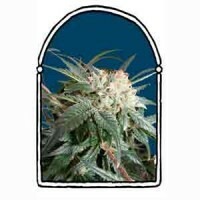 The Kush Brothers seedbank presents Exotic Kush seeds, after a long and dedicated breeding project, starting from a huge selection of a Mango strain, that brings tropical tones to the known Confidencial OG. 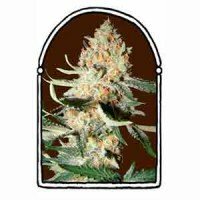 Exotic Kush marijuana produce great crops, of an incredible quality, and a quick flowering time that makes her perfect for indoor and outdoor growing. The Kush Brothers Langui Kush marijuana strain takes it name in honor of Juan Manuel Montilla aka "El Langui", a well-known artist in spanish hip hop stages. 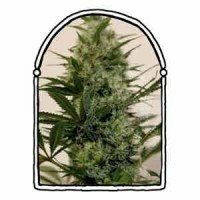 Langui Kush seeds are born from a triple cross Harlequin x Mango x OG Kush, that produce plants that maybe take bit longer to finish their flowering time, but producing a heavy yields, in addition to a high medicinal value. Langui Kush has a THC:CBD ratio of 1:1, what makes her the most medical strain from The Kush Brothers seedbank. 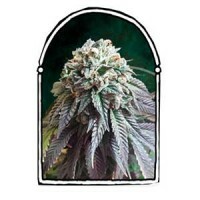 The Kush Brothers Malibu seeds are the most sativa strain, with euphoric effect, of this seedbank. This deli for sativa strains lovers is a quick flowerer, being able to yield huge quantities of flowers per crop. Malibu weed has a psychedelic and energizing effect. The Kush Brothers's Masskush marijuana strain resulted in amazing results in every single aspect she was evaluated. Masskush seeds are mostly indica hybrid, born from a cross between Confidencial OG and Critical Mass. Masskush flowers quickly, and produces huge quantity of flowers indoors and outdoors, being a perfect genetic to assure a high quality crop. The Kush Brothers' OG Cheese seeds has been added to this seedbank's catalogue due to its great taste and amazing yields. OG Cheese marijuana has that characteristic taste from the Cheese, with undertones of OG that makes her so special and unique. The yields from OG Cheese is high, with thick and compact buds loaded with resin, that are ready to harvest in only 8 weeks. Kush Brothers, a seedbank specialized in top quality american strain, introduces Pandemia Kush to their catalogue. Pandemia Kush seeds are an hybrid genetics born from the cross between a Northern Lights #5 Haze with a selected Mango Kush male, a guarantee of quality, and yields, that will completelly fill the dryers to all growers who give her a small growing-space in their gardens. Pandemia Kush cannabis has a sativa effect, with the ease of growth from its indica side, thanks to its quick flowering period of 9 weeks. The Kush Brothers Petro $ OG marijuana seeds represent a classic OG Kush strain, with 2 possible phenotypes. 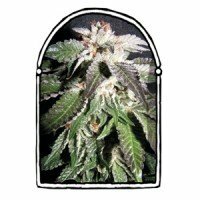 Petro $ OG seeds are a triple cross Sour Diesel x OG Kush x Confidencial OG that flowers quickly indoors, and outdoors, being a medium yielder indoors, and great producer outdoors. Outdoor growers will discover astonished that their plants are ready to harvest in Early September, getting rid of pests that may appear in later stages of this month outdoors like happens with strains that take longer. The Dark Side marijuana is one of the easiest strains to grow from the whole catalogue of The Kush Brothers. This genetics sativa-indica hybrid, flowers in 9-10 weeks, and demands a low nutrient schedule for best results. 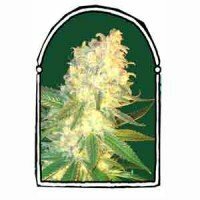 The Dark Side seeds are suitable for growing indoors and outdoors, bringing great results in any type of growing technique.